In Malawi, the flooding is affecting 638,000 people, and 121,000 have been displaced. The Southern regions are the worst affected: 54 people have been killed and 153 are missing. 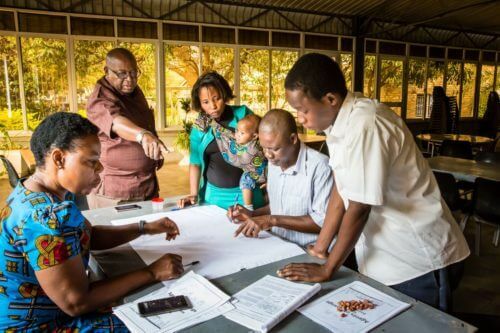 The Anglican mission agency Us (formerly USPG) has sent an emergency grant to support relief work in the Dioceses of Upper Shire and Southern Malawi and calls for worldwide support. Episcopal Relief & Development are responding to the national appeal in Malawi, for all four dioceses, through their ‘Disaster Response’ fund. The Malawi Association for Christian Support (MACS) also has an appeal for Upper Shire diocese. In Mozambique, the Licungo river has had the worst floods since 1971, with two major bridges collapsing on the main North-South national road and electricity pylons destroyed. Here 90,463 people have been affected, 84 people are reported killed, whilst others are missing. The Diocese of Niassa is responding to the very serious flood situation in Zambezia, and is working to help the 1000 most affected families. The Diocese of Niassa is experienced in flood relief work and is supported by partners including Tearfund, World Renew, and MANNA. Bishop Mark van Koevering reports that their initial appeal has been funded and allowed them to respond fully in the planned communities. Additional fuding will allow them to respond in new communities, remote communities have still not been reached by other agencies. Mozambique Angola Anglican Association (MANA) are also appealing for support for the Diocese. Hope Africa, the development organisation of the Anglican Church of Southern Africa, is also busy gathering support for the northern part of Mozambique. Episcopal Relief & Development are responding to Mozambique through the Diocese of Niassa. Rescue operations, led by the Government are ongoing, although these are hindered by persistent heavy rains, strong waves, overflowing rivers and damaged or blocked roads. Air bridges have been established, meaning that food and non food items can be dispatched to isolated areas. In Madagascar 14 people have died, 100,930 have been affected and 44,389 displaced by Tropical Storm Chedza. In addition, 2,322 houses have been destroyed, 200 schools damaged, 8 health centres flooded, and about 1,650 ha of cropland inundated. At the moment it is reported that the national capacities of Government and partners, with current levels of prepositioned stocks, can adequately address urgent needs. The Alliance will continue to monitor the situation as we hold the situation in our prayers. Floods claimed the lives of ten people in Zimbabwe earlier this month, and we continue to hold the communities affected in our prayers. A press release from Us is linked here. A press release from Episcopal Relief & Development is linked here. 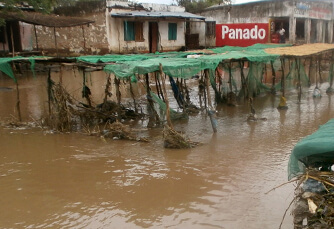 In the picture: Flooding in Mozambique, Us.